Want to be an SEO? 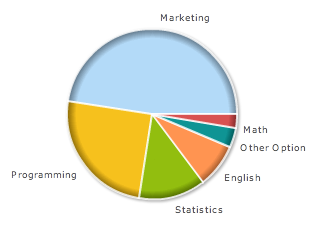 Well, we asked SEOs what degrees upcoming SEOs and SEMs should obtain. The other results were, Multimedia Technology and Design, Humanities, Journalism, Deception and scamming, Special Forces, Journalism, Finance, Physics, and none needed. Some of those responses were funny. Forum discussion continued at HighRankings Forum.